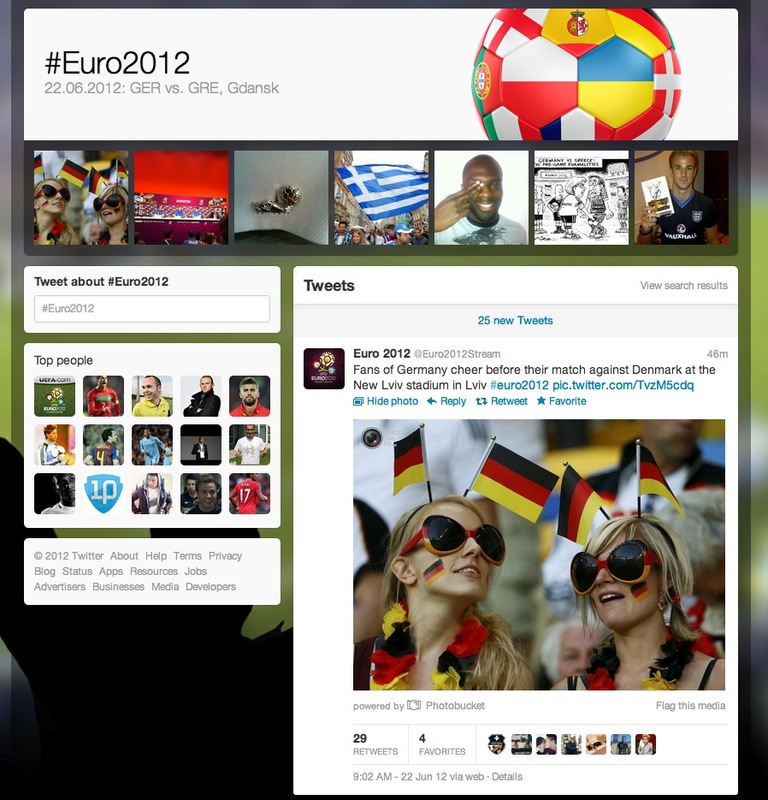 Twitter has announced its second extended sports section on the service, this time centered around the European Football Championship 2012. This marks Twitter’s second major sports section after the template it set with its recent NASCAR partnership. The section presents editorial content shared by people on Twitter, along with individual Tweets from fans. This product was pioneered with the NASCAR Pocono 400 event and it looks like Twitter is expanding it out to other sports properties now. The page will feature the ‘most relevant’ Tweets from broadcasters, journalists, players and more that will share their reactions via Twitter during the game. This will be mixed with content from news outlets on the specially formatted ‘hashtag’ page. All of the content comes from Twitter users, but certain good pieces will be featured at the top of the page. Twitter also provided a cool visualization of the Tweets between supporters of France in blue and England in red during June 11th’s match by Miguel Rios. The coverage on the new section will start today at 11:45 PST with the Germany and Greece quarter-final. Honestly, these sports partnerships are really ideal for Twitter, as it has become the de-facto second channel for most people watching sporting events anyway.